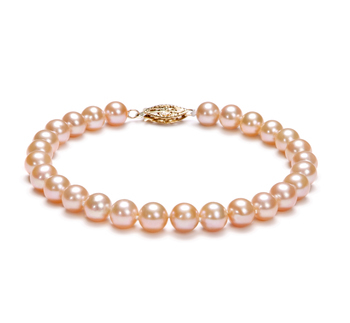 A pink Freshwater pearl bracelet is a very delicate piece of jewelry that can subtly enhance your beauty. When worn by itself it helps to further to provide a touch of elegance and sophistication to any outfit you choose to wear. Let us help you to decide which of the bracelets in our collection is the right one for you. As we’ve already explained the right kind of pink Freshwater pearl bracelet is going to add a touch of sophistication to any outfit you like to wear. This very short guide will help you to better understand what one will suit your particular style. A very simple looking piece of jewelry that provides you with the easiest way of including pearls into your wardrobe. The bracelets that are made up of 6-7mm pearls are the perfect accessories for you to wear with more casual attire, whilst those that contain larger pearls can be worn to more formal events or to business meetings. 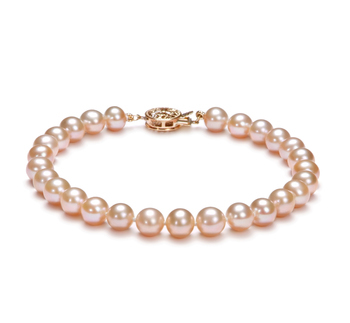 We have single strand bracelets in our collection that contain AAAA grade pearls measuring between 8.5 and 9mm in diameter. Our double strand pink Freshwater pearl bracelets are very elegant and distinguished looking. These are the kinds of bracelets to be worn on special occasions. 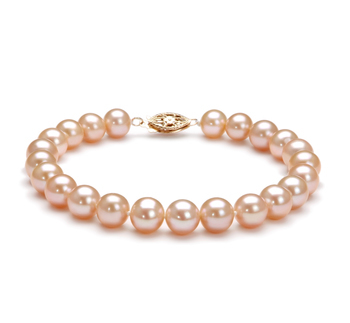 To further enhance their beauty they can easily be accessorized with matching Freshwater pearl jewelry such as earrings or a necklace. You need to make sure that you’ve fastened the clasp properly. 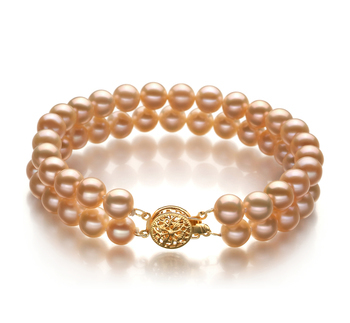 If you like to keep up with the latest fashion styles then you might want to think about layering your bracelets. 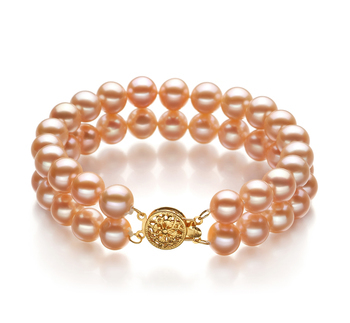 If you do intend to layer them then keep to wearing ones that have similar size pearls or gemstones in them. Also never wear one of our delicate pink Freshwater pearl bracelets with some a little chunkier and heavier. 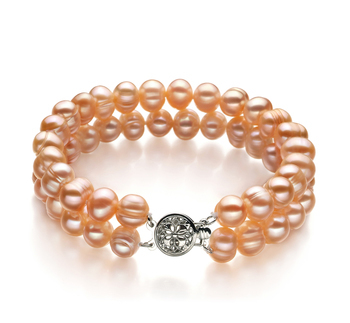 In fact, it is far better not to wear any other bracelets with these, as they look amazing on their own. As you can see the choice is yours when it comes to the kind of pink Freshwater pearl bracelet you would like to own. But hopefully, the advice we have given above will help you to find the right one for your own particular tastes.